In the spring of 2011 in Nelson County, Virginia Koda Kerl and Marie Borgman poured some Evan Williams in a hot cup of tea and decided to start a band. The idea was to organically grow a sound based around lively shows that would not be restricted by genre. They joined forces with Irishmen Ryan Lavin and started ferociously playing as much as they could. 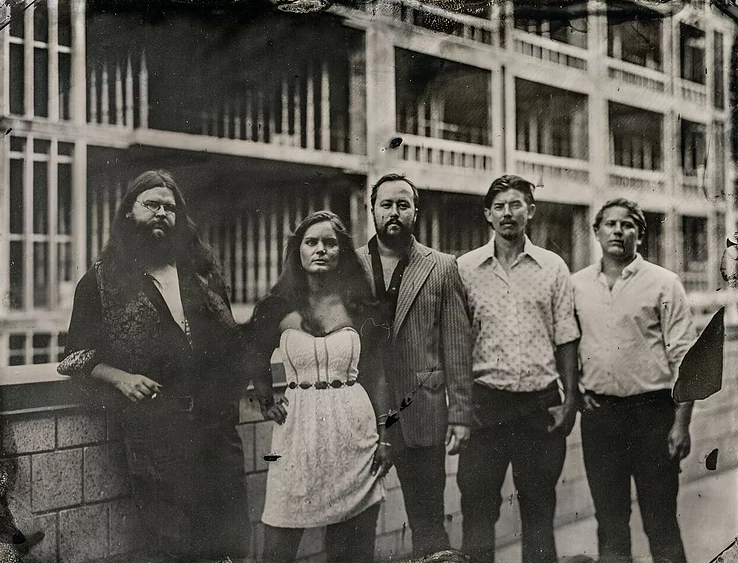 After a year of building a reputation playing rowdy bar sets they signed with County Wide Records and cut their first EP “The Barn Sessions.” The band quickly gained recognition regionally and after releasing their debut full-length record “Wandering Boots,” They began touring. A few years of cross-country tours and the band started to hit their stride…invitations to play festivals such as FloydFest, The Festy, and Arizona’s Tilted Earth Festival poured in and they were able to share the stage with national acts Old Crow Medicine Show, Robert Earl Keen, Railroad Earth, Rusted Root, and the Infamous Stringdusters among others. Their eclectic sound blends Americana and Southern Rock with Irish, Gypsy, and Old-Time all wrapped up in a raging live performance. The band hasn’t slowed down averaging nearly 150 shows a year. In the fall of 2017, the band released their sophomore record “Sweet Afton” to rave reviews. Join Chamomile and Whiskey on ST PATRICKS DAY w/ opener Trees On Fire and special guests Blue Ridge Irish Music School.